It wasn't unexpected. It was just disheartening to see Newcastle hold the Spurs well during the first half, and then lost control of the game in the second. But that's Newcastle's current quality level. They usually have two excellent defenders on the pitch at any time. However, their defence overall cannot provide a full 90 minutes of quality shown by the top five clubs in the league, with the Spurs now being one of those clubs. Newcastle has big players who have a lot of character. They were missing Kevin Nolan and Jose-Enrique in this match. There is no reason to seriously think that they will be facing the same disadvantage against Wigan on January 2nd. But this match did add to the existing evidence that James Perch is the weak link in Newcastle's defense. He was beaten again by a striker on a scoring run. Good defenders get beaten. But Perch has always been outclassed by Premiership veterans this season. Although Newcastle needs reservists to fill in for injuries and suspensions, I don't think they need Perch going forward this season. Since most of the Newcastle blogging community didn't write much about this defeat, I won't wither. We were all still recovering from our Christmas gorging, and like New York City's Sanitation department, there was no urgency to do a thorough job as December came to a close. There will be much more to write about following the January 2nd match in Wigan, as the Lads have a golden opportunity to go on a win streak and the January transfer window opens. It was a game to forget at St. James' Park on Boxing Day, as Newcastle were swept away by Manchester City 3-1. It was the Magpies' second defeat in three games. Defensive mistakes and a crucial error by goalkeeper Tim Krul handed Man City two goals in the opening five minutes, virtually assuring the result in the visitor's favor. The first goal was all you really needed to see. Tim Krul attempted to pass the ball to one of his defenders (rather than simply clearing the ball with a swift kick), and it was intercepted by Man City star Carlos Tévez, who passed it to Gareth Barry on the left post, who easily put it past a flustered and upset Krul. Tévez scored on a terrific give and go with former Magpie James Milner just two minutes later and the game was all but over. Tévez was just too fast for Newcastle on the breakaway. He passed the ball to Milner on the right wing (who was an excellent wingman for Newcastle, after all), got a couple of feet ahead of defender Fanricio Coloccini, and was able to tap in Milner's return pass. I wasn't expecting Newcastle to defeat Man City. I was hoping for a point, but that would have been the best case scenario. Frankly, Newcastle United didn't have a chance to win this game. Newcastle's most difficult stretch of the season comes to an end on Tuesday December 28th, when they travel to North London to play the Spurs. Again, they are not expected to win. They will be without captain Kevin Nolan, who is serving a one game suspension for picking up his fifth yellow card of the season. But they have to play hard and create more chances. It makes no sense to play a quiet, conservative game when they are the underdog. They need to play a fearless 90 minutes of football at Tottenham. The highlight of Boxing Day was the new contract for hometown defender, Steven Taylor. After being listed on the transfer list in August, the team has recommited to Taylor, who will no remain at the club through May 2016. I think he is a competant defender. He's still young and there's room for growth. Coloccini could use his help in the backfield. And this new contract has certainly improved Taylor's morale. I think the new Taylor contract signals the end for James Perch. As a right midfielder, Perch does not excel at either offense or defense. He has had trouble preventing breakaways, and he's had trouble passing the ball forward to the strikers this season. He is also young, and will grow, but he will be of much better use in the Championship rather than the Premiership. If Newcastle is going to gain entry to the Europa League in 2011 or 2012, they need Premiership quality players. In my opinion, it would be worthwhile to find a buyer for Perch in either January or during the summer. 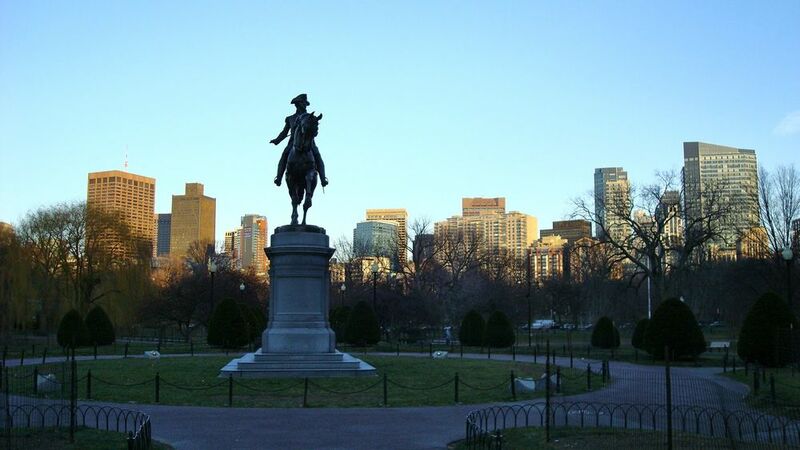 A sunset view of Boston's financial district from the Back Bay, December 16, 2010. Sports radio is an annoying format. It's mainly sports writers, shock jocks, and fans either yelling at or with each other. I have no business listening to Boston's WEEI sports radio, especially after the morning guys, Dennis and Callahan, mentioned my name on the air in 2005, followed immediately by the word, "idiot." Twice. But on my latest drive to Brockton from Manhattan, I didn't have my own car with me. I opted to rent one, and I relied on terrestial radio rather than XM radio for most of my entertainment. WEEI's range is impressive. I think I picked up the station in Old Saybrook, Connecticut, just past the halfway point between New York and Brockton. And for the first time, I heard something called the Planet Mikey Show. Mike Adams seems like a funny guy. He's from Pittsburgh, but he almost sounds like Seth McFarlane as Peter Griffin (the main character in Family Guy who has a Rhode Island accent). Mike and his sidekick last Tuesday night just couldn't avoid the theme for the entire city of Boston right now - that their pro sports teams were among the hottest in the nation as 2010 drew to a close. The Bruins were running their predictable course of having a great regular season, followed by a painful playoff exit. The Celtics were in the middle of a long winning streak. The Red Sox had made two blockbuster acquisitions during the MLB winter meetings in Florida. And the New England Patriots, in just five weeks, had gone from playoff probables to Super Bowl favorites. A common talking point repeated by all of WEEI hosts and guests is that the Patriots are now favored to win all of their remaining games, including all playoff games and the Super Bowl. The talking point is so common and pervasive, I wonder if everyone in front of the microphone was given a memo, Fox News style? Coordinated or not, they're correct. The New England Patriots are once again favored to win the NFL Championship. I blogged about this before, in early 2008, and we know how that story ended. But this season is dramatically different. The Patriot defense has gotten better with each game. And in my opinion, this has been the season that finally proved that it is the quaterback, Tom Brady, who has made the Patriot offense great. He has thrown to both good and great receivers. But Brady has this ability to elevate all receivers. He delivers the ball to them as if they are all named Jerry Rice or Deion Branch. Brady has surpassed names like Steve Young and Johnny Unitas on the list of great quarterbacks and has entered the territory of Joe Montana, Dan Marino, and John Elway. There is simply no active quarterback better than Tom Brady, no matter what Marshall Faulk or Tom Jackson currently say about the Patriots on television. Boston's getting ahead of itself a little bit. Great things are happening in December 2010 (the Celtics and Patriots), but one of those teams needs to win a championship in order for 2011 to be remembred as a great year in Boston sports. But with 1986 and 2007 already recorded as great years, it is certainly understandable how expecations are very high for three of Boston's four pro sports teams in 2011. The first test will be the Patriots playoff run. They have defeated all the top teams this season. For them, it really is Super Bowl or bust this time around. Perhaps Alan Pardew will be an invisible manager. He wasn't needed last Saturday as the Lads were out to prove that they could win at home - something they had only done twice this season. Led by stellar performances by goalkeeper Tim Krul, defender Jose Enrique, and midfielder Joey Barton, Newcastle defeated an inconsistent Liverpool 3-1. Newcastle midfielder Joey Barton played a fearless 90 minutes of football. After scoring a crucial early first goal (15 minutes in), Newcastle gave-up an inexcusable equalizer early in the second half, when defender Sol Campbell never turned to face the attackers. He had his back to the ball, and took himself out of the play. Newcastle then had to rely on its thin defense and young backup keeper, as Liverpool mounted a series of attacks. But it all came crashing down for Liverpool as Newcastle woke-up offensively and scored two goals in ten minutes. Newcastle defender Sol Campbell, left, never turned to look at Liverpool's Dirk Kuyt, right, until it was too late. And the game winning goal was old school Newcastle. A throw from Tim Krul ended up in the back of Liverpool's net after being touched by three Newcastle players, the last of which was Barton, who came out of nowhere to redirect Andy Carrol's shot on target. And these crucial three points mean just one thing: Newcastle, unofficially, is safe from relegation. The team needs just four more wins or 12 more points to assure safety. Newcastle should have all of those points by the end of January. Then the organization can start working on a team building strategy for next season. But this victory at home was the third very special game Newcastle has played this season. The Geordie faithful were part of Saturday's story. The sellout crowd first displayed loud fury over the termination of Chris Hughton, followed by roars of approval for each of the three goals scored, followed by a solid display of unity and loyalty in the closing minutes. The crowd reflected the feelings of all Newcastle fans, which is quite an intense, mixed bag at the moment. The new boss, Alan Pardew, is not to blame for the termination of Chris Hughton. He will be accepted by the players and fans, with the inherent knowledge that he probably won't stay for the duration of his five year contract. The reason is because there is is renewed pressure for Mike Ashley to either sell the club to an Arab billionare or give-up control and allow Newcastle United to be a publically owned corporation. In the meantime, the fans and the players can move forward and focus on the football, now that their primary objective for the season is within reach. Glenda Sure Knows How To Celebrate Christmas! Food storage. Inflation. Death. Oprah envy. Awkwardness. Bitterness. Glenn Beck is just full of Christmas cheer! Grab a mug of hot chocolate and gather 'round, children! It's a far cry from his autobiographical The Christmas Sweater published two years ago. But now, with his ratings down over 30% from last year, Glenda doesn't have much to offer this Christmas. The clip is courtesy of those evil, career destroying goons at Media Matters for America. Kevin Keegan: Newcastle Owner, Mike Ashley, "Doesn't Know Anything About Football"
I admire Kevin Keegan's honesty and frankness. Here is Glenn Beck's epic monologue / meltdown on the Thursday December 9th edition of the Glenn Beck Show (Fox News). It is highly unlikely any rational person can get through all 19 minutes, but I find minutes 9-12 highly entertaining. Please try to watch it here. As far as Glenn's meltdowns go, this ranks very high on the list of his all-time insane moments. How does anyone work or live with this boy in the bubble? He doesn't go outside except to run to and from his limo. He doesn't have guests on his show, aside from John Birchers, discredited scholars, and Neo-Nazis. And the only people who watch his TV show at 17:00 Eastern time, are angry old people who either don't know any better or can't find something more interesting to watch on the television. I know it is terribly unfair and perhaps cruel to give Beck more attention. He needs help. But really, this clip was epic even by Beck's crazy standards. His ratings continue to fall and he is paid millions. And yet he has grand delusions of becoming a billionaire and/or savior of western civilization. In fact, in this clip, his envy of George Soros and Julian Assange is palpable. He really is a 21st century apocalyptic preacher stuck in an old medium, cable television. A friend commented on Facebook Monday afrernoon that the last thing he expected to read in the UK press was that Newcastle had sacked manager Chris Hughton. I was going to write a post about Newcastle's loss to West Brom on Sunday. I was going to write how Newcastle once again had a poor start in a game, and lacked the drive and motivation to carve out an equalizing goal. I was also going to write about how awful reservist midfielder Danny Guthrie played on Sunday. He was simply pathetic in his set plays (a free kick and a corner - why was he the kick taker? ), passing, and defense. His very unfortunate slip and subsequent injury ended his nightmare of a day, as West Brom’s Peter Odemwingie ran past him to score his second goal. This loss has Newcastle stuck on 19 points, with fewer than 3 points likely between now and the end of the calendar year. It's not the end of the world. December was expected to be a month devoid of points. And so this post was only going to be about the defeat in West Bromwich. But all that changed on Monday morning when the team's board, and owner, Mike Ashley, made the shocking decision to terminate manager Chris Hughton. It was a disgusting stunt. The announcement came just after all the nation's newspapers were already printed for the day. The faithful drinking their coffee in Newcastle Monday morning wouldn't see the story on the sports page at the news dealer, but surely they saw it on their smart phones. And what did the firing of Chris Hughton prove? A few things, apparently. Success is a punishable offense on Tyneside. The front office does not want to retain success or talent. The front office never respected nor appreciated Chris Hughton or the fans (at least they haven't respected the fans since the early part of this decade, when Newcastle were usually fifth or sixth place in the Premiership). And Hughton’s firing sent a clear message to players and managers for the foreseeable future: you won’t find any stability, comfort or anything resembling job security at NUFC for at least a few more years. With ten managerial changes (five of them terminations or resignantions) in the last five years, who would want to manage Newcastle now? The players are reportedly devastated, blaming themselves for this senseless action. 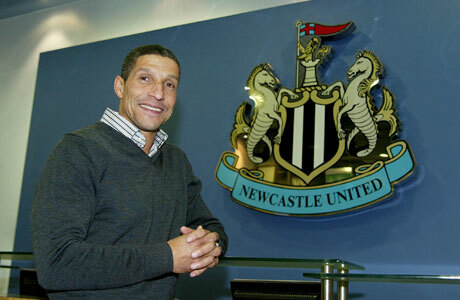 And the termination of Hughton puts Newcastle's mission for this season at serious risk. Their schedule is very difficult through December, so wins are unlikely for the time being. But if the team can't resume winning in January against Wigan and West Ham, they could drop out of the Premiership by May. They are just five wins away from safety, but where are those five wins going to come from if the team is now in disarray? Indeed, this firing makes zero sense. Hughton was providing competent managing while building a good relationship with his players. NUFC is trying to save money as the organization pays off its large debts. While Chris Hughton was not attracting top international talent to the club, that was not his objective for this first season back in the Premiership. His objective was easily understood by all: earn 35 points and keep the team in the Premiership. And we all knew there would be a limited budget with which to accomplish that. The club informed him that it did not have a sizable transfer budget for this season (and probably next season as well). Despite serious budget restrictions, Hughton was able to purchase six players during his tenure, including defenders Mike Williamson and Sol Campbell, and midfielders Hatem Ben Afra (on loan), Cheick Tiote, and Dan Gosling, who is scheduled to make his Newcastle debut in a few weeks. Hughton had Newcastle on-track for 10th or 11th place in the league, which would have been slightly better than the fans could have hoped (seriously, 40 points the first season back in the Top Flight would have been dreamy!). It is an ugly and transparent lie when the club points to Hughton’s lack of "managerial experience" as grounds for termination. Never mind that he led the team out of the Championship in a short and smooth 11 months. The team was in shambles when he took over in May of 2009. By April of 2010, Newcastle were riding high, retaining their incredible fan base, and ready to make serious money again. Forget the fact that his record was 30 wins, 12 draws, and just 4 losses while in the Championship, and had a perfect undefeated record at home. Just forget the 90 goals scored during that season of recovery. Never mind the fact that Hughton had been in Newcastle’s front office since late 2007, and had 17 continuous years of coaching experience since he joined Tottenham as an assistant coach in 1993. Forget that he has had his UEFA Pro license easily renewed several times, while a former Newcastle manager, Glenn Roeder, didn't have the necessary license when he took over as manager in 2006. Lack of experience? What lack of experience? As far as I know, there were zero calls for his termination from the squad. Hughton was a rising star. He was simply the correct man to lead the team for the foreseeable future. I actually envisioned Hughton celebrating 200 wins as Newcastle manager (he departs with 40 wins). But I should have known better. I should have known that Mike Ashley, a man who spends more time in London than in Newcastle, was itching to fire him months ago. And now Ashley has chosen the middle of the most challenging stretch in the season schedule to destroy the team’s chemistry and bring unnecessary emotional and financial stress onto the organization. Mike Ashley’s lack of professional football knowledge is quite clear. While he was eager to terminate Chris Hughton, he and the board had no immediate successor named. If they saw Hughton as nothing more than a glorified caretaker / interim manager, then why bother hiring a “permanent” replacement? If the next guy can't be Ashley's lapdog, then he's doomed as well. Some 36 hours after Hughton’s firing, the organization announced that it will name a new manager Thursday morning. And that new manager will be Alan Pardew, a man who sources say is close friends with Mike Ashley, and yet arguably has the same amount of league managing experience as Chris Hughton. In fact, the two men are nearly the same age with Pardew at 49 years of age and Hughton at 52. Needless to say, the Geordie faithful and even some owners, former players and coaches are quite upset over Hughton’s dismissal. Newcastle supporters are obviously dreading the installation of Alan Pardew. Newcastle host Liverpool late Saturday afternoon. What was to be a tense, close match a few weeks ago has now become a far more messy affair than it ever needed to be, thanks to an owner who doesn't care about the supporters, the players, or the proper way to let a team develop and grow in the Top Flight. UPDATE, December 9th, 21:25: Ben, over at Black & White & Read All Over has chimed in with his excellent commentary, in addition to the references linked above and noted below. Who says covering Newcastle United is boring? I've been following the club since 1993, and it has been anything but. There might be only one historic upset in pretty, snowy conditions this season in all of English Football. If that turns out to be the case, then Tuesday, November 30th, was it. The setting was Upton Park, not too far east of the Tower Bridge on the Thames. The fixture was a Carling Cup fifth round match between West Ham United and Manchester United. The weather was light snow and 25 degrees Fahrenheit. And it was a memorable, fun, and even dreamy 4-0 rout of Manchester United by some unlikely West Ham heroes. In a season that has West Ham stuck at the bottom of the Premier League table, this performance will be remembered for many years, and could mark a key turning point in the team's quest for 35 points to save themselves from relegation. Extra emphasis on the word "could," because right now, West Ham has just 12 points as they near the halfway point of the season. Simply put, they need a solid win streak to save themselves, and seldom have we ever seen a team rescue itself from 20th place after Boxing Day, which is just 3 matches away. This victory is not being portrayed by the sports media as an upset of epic proportions, as it was a League Cup game. This wasn't the FA Cup. This wasn't for the Premiership title. But Wes Ham's fans will remember it for years. For them, in that snowy evening, it was unforgettable. They were the least likely of teams to end Manchester United's undefeated run of 29 matches in all competitions. And even we Americans have a new star to keep an eye on: Illinois native, Jonathan Spector. Here's a guy who has played for English clubs the last 7 years, mainly as a reservist defender, scoring only one league goal during that time. His manager moved him to center midfield for this game and what did he do? He scored the first two goals [video from our Russian pirate friends]. He almost scored three goals, but his first strike was disallowed on a late offsides call. Not to get too excited, but I'm sure Bob Bradley and the rest of the US national team staff are watching. Spector was selected as a reservist for the 2010 World Cup, but performances like this could have him start tournament games in Brazil, when he will be 28 years old and in his prime. We could have our first storyline for the USA's 2014 World Cup campaign. So remember that name...Jonathan Spector. The Hammers were the last team anyone expected to beat Sir Alex Ferguson's side, and yet it was historically appropriate, as great things have happened before in West Ham's midweek cup matches. A string of wins led them to claim the FA Cup in 1980 (they were in Division 2 at the time, so they were the last team outside the top flight to win the tournament). Tuesday's victory marked the first time the Hammers advanced to a League Cup semifinal since 1989. And this was West Ham's biggest winning margin against Man U in anyone's lifetime. On December 31 1971, they defeated Man U 3-0. So this was quite special indeed. Sir Alex and his Red Devils didn't dwell on this defeat for a moment. So they won't be winning the Carling Cup in February. But their dismal defensive performance is a reminder to everyone that even the best teams can enter a pitch and become almost stoic and motionless. And any side -especially a desperate home side in front of equally desperate fans- can take complete advantage of a superior team that refuses to dominate. The first and final goal in particular saw the Hammers driving the ball through the box while United players practically stood and watched. Sir Alex had to be embarrassed and furious, but he did a fine job hiding his emotions. The first two goals were scored by Specor. The final two goals were scored by another unlikely hero, striker Carlton Cole, who is likely to be sold during the January transfer window. Four goals. Surprise heroes. Pretty snow. An historic victory. It really was a thing of beauty, no matter how trivial United supporters or the press saw it. Newcastle's loss last week to the Bolton Wanderers was expected. What wasn't expected was the loss of temper and discipline by Newcastle's defense, as Milke Williamson and Fabricio Coloccini were both suspended for violent behavior on the pitch. That brought the number of 'banned' players to three, including midfielder Joey Barton. Newcastle have surprising depth this season - when players are healthy and not serving a suspension. So following a reshuffling of defense, which included a start for the elder Sol Campbell and a timely return from injury by Steven Taylor, Newcastle hosted the defending Premiership champions, Chelsea, who are occupied with various problems of their own. And true to their form nearly all season, Newcastle outperformed against a superior opponent, and earned a precious point in a 1-1 draw. Newcastle could have gone up 2-0 early had either Steven Taylor or Shola Ameobi finished their shots in the same opportunity. Ameobi's chance in particular appeared to be an easy 'garbage goal' as all he had to do was send the ball into the empty left side of the net. But unfortunately, Shola was unable to live up to his reputation as a garbage man, and sent the ball wide right into the side netting. But Newcastle were quickly given another golden opportunity when a disastrous backwards pass by the Brazilian national, Alex, resulted in an empty net goal by Newcastle's number 9, Andy Carroll It was Carroll's ninth goal this season. That early goal lifted Newcastle's spirits. And they needed motivation and strength going forward, as they survived a heartbreaking equalizer late in the first half, and were on the ropes during much of the second half. But Newcastle held on for their point. Inconsistency is a theme for this season, but another theme that keeps cropping up in the post game interviews and analyses is "character." Newcastle has it in spades this season, and it's the reason they are going to earn another season in the Premiership next summer. It won't get any easier for them as fall turns into winter. They won't get to play a weaker team until January. Next week, they travel to West Brom, who had a slow start (and a weak offense as I mentioned two weeks ago), but have become stronger and will certainly be a formidable opponent. They scored a bucket of goals last week against the Toffees and should be riding high when Newcastle visit their ground on Sunday December 5th. Shiteseats: "Chelsea probably deserved their goal, and they stepped up the pressure in the second half, with Tim Krul making various good stops to save his teammates." Blog on the Tyne: "In games that you would put money on them winning, they've failed. And in games when you would avoid stick for keeping your money in your pocket, they've gone out and surprised us." Today's terrorist organizations have been unable to recruit middle aged or old people thus far. All of their operatives, aside from leadership, have been under the age of 35. This is not only true for al-Qaeda, but it is true for many similar organizations in the past such as the ETA, IRA, the FALN, the Weather Underground, the PLO, Hamas, Hezbollah, Islamic Jihad, Muslim Brotherhood, and the Tamil Tigers. So while racial profiling is unconstitutional, don't we have the ability to develop a few algorithms to detect people who fall outside the pattern of 'domestic frequent flyer?' Aren't we looking for people who are young and do not fly frequently? Aren't we supposed to be scanning and/or interrogating people who are on the elusive "watchlist?" Why is it that the TSA, with 60,000 employees, is essentially a reactionary agency which bans substances and objects as aspiring terrorists try them out? Today, toner cartridges. Tomorrow, iPods? We've also learned that nine years after their most successful and audacious attack, al Qaeda is still obsessed with air travel. And they have reached the point where they don't necessarily need to destroy aircraft. They seem content to cause delays and costly disruptions. This suggests that al Qaeda is still in a corner, unable to mount different international attacks such as car bombs, nuclear bombs, or chemical attacks. When your enemy stops sending operatives to North America and is reduced to sending mail bombs from Yemen, it is fair to conclude that the enemy is less mobile and has fewer resources than 10 or 15 years ago. But we Americans have our reactionary TSA, which is a portrait of inefficiency and ineffectiveness. The TSA seems to believe that more frequent seizures and searches of domestic passengers is the solution to preventing aspiring terrorists from boarding planes in European airports. In a country that values ingenuity and entrepreneurship, the TSA has none of it. Newcastle United: No Points For You! With 18 points earned before the end of November, everyone agrees that Newcastle are well on their way to safety in the English Premier League. But they should have at least 20. They were given two lesser opponents at home this week. In the first game, they failed to show up. In the second game, they couldn't sustain the offensive momentum that would have earned the breakthrough goal that they needed. These are not inexcusable offensives, but they have hurt the team. Newcastle need 35 points to declare their season a success. They should have over 20 points right now. In fact, they should have 26 or 27 based on their failures to beat Stoke, Wigan, Fulham and Wolverhampton. They could have been printing the 'Mission Accomplished' banner right now. Instead, they are entering what could be the roughest patch of their 2010-2011 campaign. Newcastle have seven games between now and the end of December, and the vast majority of them are against superior opponents. Newcastle's pattern this season has been defeats at home to lesser opponents, combined with wins at home and on the road against superior opponents. If that pattern continues, then Newcastle are going to be fine. But before the season began, we all looked at mid November through December to be the most difficult stretch of the season. Of their next seven games, the only one I am confident about is their visit to West Brom on December 5th. They played well against West Brom twice last season in the Championship, and the Baggies seem to have a weak offense this year. Now one win out of seven would be dismal. But one win between now and New Year's would give Newcastle 21 points, just four wins shy of their goal. And if they couldn't bag four wins between New Year's and early May, then they really would be hopeless. And that's the one thing Newcastle have not been this season, despite three painful home losses to Blackpool, Stoke, and Blackburn. In this upcoming seven game run, they could defeat the bigger clubs of Chelsea, Liverpool, Manchester City, and Tottingham. The way they have been playing on the road, they very well might. But I simply cannot get too comfortable with this team, because I have this fear their tremendous success on the road has been a streak of luck. And that luck could run out at any time. Maybe it's the Red Sox fan in me. So what do you think? In this 2010-2011 campaign, has Newcastle been really good, or just a very lucky team? There's no need to dwell on Newcastle's disappointing and almost predicable loss against Blackburn on Wednesday. So I am going to share just a little opinion, some links, and offer my prediction on what is going to transpire on Saturday afternoon. Newcastle United didn't really show up to their mid week match against Blackburn. Their opponent's first goal was unfortunate, and the second goal was inexcusable. Blackburn's dominance of Newcastle at St. James' Park therefore continues, as I feared. And Newcastle's struggles at home therefore continue. So what now, then? Midfielder Joe Barton has been suspended three games for his ill advised punch of a Blackburn player. This will likely force Newcastle manager Chris Hughton to start the promising, young Ryan Taylor in Saturday's match against Fulham. Also, with Shola Ameobi out with a sprained hamstring, Newcastle will likely have a backup midfielder/striker on the bench. If I were the manager, I would choose either Nile Ranger or Xisco. We shall see who Mr Hughton chooses. As an interesting footnote, the Samsung Galaxy S became the best selling mobile phone in Japan last week, dethroning the mighty Apple iPhone. Arsenal 0, Newcastle United 1. Newcastle won themselves some breathing room and dealt a serious blow to Arsenal's league championship hopes on Sunday with a commanding performance on Sunday. I really can't add anything to what has been written (links below). However I am stunned by how calm and cool Newcastle was in defending throughout this game. Arsenal had more possession, and they had Newcastle's back to the wall several times during the first half. But Krul, Coloccini, Jose-Enrique, Williamson, and Simpson were always around to punch, poke, and clear the ball when it got too close to the net. This was Newcastle's best defensive performance of the season thus far. Newcastle had not won a match in north London in their last seven attempts. Not only was it their first win at Arsenal since December 2001, it was a remarkable clean sheet for goalkeeper Tim Krul. He's been a competent young keeper this season, but his shutout of Arsenal was a career highlight. So what now? Newcastle need 10 wins this season to remain in the Premier League. That's a little over one win per month. They have had one victory in each of the first four months of the season. Now Newcastle have a golden opportunity to leap ahead of their goal. Their next two games are at home against lesser opponents, Blackburn and Fulham. If they can somehow maintain their high achieved on Halloween, and take all six points, they won't only be anchoring themselves in the Premiership, they will be contending for a spot in the UEFA Europa League tournament next season. Newcastle desperately needs more revenue, and participation in a European tournament would put them over the top. But let's not get ahead of ourselves. Newcastle only needed one point from their last two matches. They got six. Now they need two points from the next two matches. So if they defeat either Blackburn or Fulham, they will have six wins before heading into a very difficult patch of their schedule, but will only need four more wins between December and May. I'd say given how Newcastle has improved in each League game since early October, it seems almost certain that Newcastle's position in the Premiership is safe. I couldn't say that just one month ago. But ever since that stunning comeback to salvage a point against Wigan on October 16th, Newcastle have been playing like a Premiership club. ShiteSeat's Report: "This season may be long, and we may be riding our luck at times, but we have already surpassed everything we could have expected at this stage in the season." Newcastle Chronicle: "United should fear nobody after this famous win over a team with aspirations to be kings of Europe." 2011 Volkswagen Jetta: Now Just Another Cheap American Car? I am a fan of the Volkswagen group. After all, it includes highly respectable brands such as Audi, Skoda, Seat, Porsche, Bentley, and Lamborghini. But I am not a fan of Volkswagen cars themselves. The reason I never warmed-up to Volkswagen boils down to two reasons - silly marketing and product inconsistency. The marketing of VW is separate from the cars, of course, but VW has always irked me as trying hard to be the brand for young, liberal, somewhat hipster American adults. And as for consistency, VW has a long reputation of bringing wonderful cars to the US (the Scirocco, the Corrado, the 5-door Golf, the Golf R32) and then taking them away just as they establish themselves in the tuner and enthusiast markets. 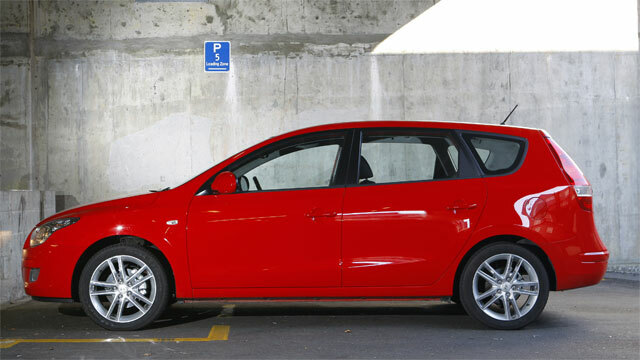 At least the 5-door Golf hatchback ihas been here to stay since 1993, and the Golf GTI has been here since 1985. 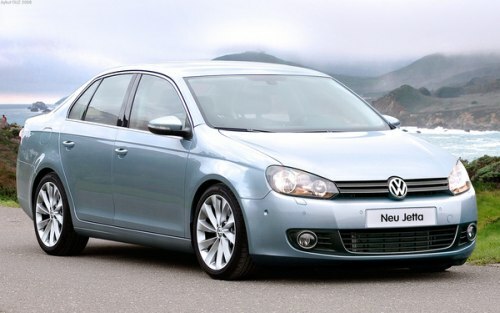 Better yet, Volkswagen has given North Americans a 5-door version of the FTI since 2007. But now Europe has an all new Scirocco that North America will never enjoy, while Volkswagen continues to aggressively sell the Jetta, a car that is known as an 'old man's car' in Europe. The Volkswagen Jetta Mk II, when it was introduced to North America in 1984, was essentially a sedan version of the 5-door Golf. The 5-door VW hatchback was not always available in North America. It depended on how confident VW was that the family hatchback could sell. But the Jetta was an instant hit. For 26 years, it has been Volkswagen's best selling car in the USA. Back in 1984, the Jetta was never going to win any awards. It was very small, had a buzzy engine, and had a lack of reliability which was VW's reputation at the time. It did have fuel injection, leather seats, and the classic four spoke VW steering wheel. But over the years, it developed a cult following. In 1992, Volkswagen became the first automaker to offer a direct injection turbo diesel engine, which made the Jetta TDI a highly celebrated and coveted automobile ever since. In 2001, a wagon version was offered for the first time. When it was coupled with the TDI engine, the Jetta Sportswagen earned the unique distinction as the the most fuel efficient cargo hauler in the US. By the time the fifth generation was introduced in 2005, the Jetta was taking aim at premium front-wheel drive compacts like the Volvo S40, Acura TSX and Saab 9-3. The Jetta Mk V was bigger than ever, with firmer suspension and sport tuned steering, an upgraded five cylinder engine, and some very nice European luxury extras for the interior. But now Volkswagen has done a big reversal. The Jetta Mk VI is no longer aiming at Volvo, Acura and Saab. It has been reassinged to compete against its original North American rivals, the Toyota Corolla and Honda Civic. There are two factors that will still attract American buyers. First, Volkswagen has finally given the Jetta its own platform. It is no longer based on the Golf. It now has a longer wheelbase, much like the mid-size Camry and Accord. Second, the price has come down by thousands of dollars. The Jetta's starting price of $16,000 is Hyundai Elantra territory. But there is one serious problem: the Hyundai Elantra now has better standard features than the two base Jetta sedans. To be specific, the base Jetta models - the S and SE- have significantly cut costs in four areas: rear suspension, rear brakes, steering, and interior plastics and dash materials. Volkswagen enthusiats will be very please to know that the TDI Sportswagen remains based on the previous generation and has not suffered these severe cutbacks. First, the mutilink rear suspension found on all Mk V Jettas (and nearly all compact sedans in the US market) has been downgraded to a torsion beam suspension, similar to cars in the mini segment including the Nissan Cube and Honda Fit. Certainly adequate, but not at all up to the standards set by previous generaitons of the Jetta. Second, the rear disc brakes have been downgraded to rear drums. For a German carmaker to offer rear drums is to throw away decades of safety innovation and leadership. Sure, the Mercedes-designed Smart Car has rear drums, but it is a minicar. The previous generation of the Jetta had the outstanding braking power of a Volvo S40 or entry level BMW 328i. Now it is gone from the base Jetta models. I was upset when Ford took away the rear disc brakes in the Escape, and now VW fans will be avoiding the entry-level Jetta with rear drum brakes at all costs. Third, while I am a fan of electric steering, it need to be finely tuned so that it feels both hydrallic and tight, especially in a small car. Hyundai pulled it off in the Elantra. Chevy and Suzuki pulled it off in the Equinox, a mid-size SUV. But most of the reviewers say that the once responsive steering of the Jetta has gone numb. Fourth, Volkswagon has taken a big step backward with the downgrading of interior materials. While the design of the dash is meant to mimic Volkswagen's more expensive brand, Audi, it seems more like a cheap knockoff of Audi, and even a knockoff of what VW offered in the Jetta just months ago. While this is not at all true with other models in VW's stable (namely, the Golf and CC), the flimsy materials in the Jetta is an alarming sign that the VW is willing to cut quality in order to increase US sales. Back in January, it was revealed that VW wants to triple its US sales over the next ten years. Moving the production of US-bound Jetta sedans from Wolfberg, Germany to Puebo, Mexico for the Mk V was one step. Reducing interior quality in the Mk VI is another. But if this is a test to see if Volkswagen can win new US customers by hoping the buyers don't do physical comparisons, then they have already lost to another carmaker. That comapny is Hyundai of America. When US car shoppers see the new 2012 Hyundai Elantra, with its new, sculpted dash, LED illuminated guages, four wheel disc brakes, direct injection engine, 17" alloy wheels, Electronic Stability Control, Traction Control, and a price tag of just $1,000 more than the base Jetta S, I think we'll see a clear winner in this contest. Volswagen has knowingly or unknowingly decided to compete with America's hottest car company. They have walked into the ring with an inferior product for the first time since the 1980s. And while the Jetta TDI Sportswagen is a fine car, it is still over $5,000 more than the similarlly equipped, equally roomy, and equally German-designed Hyundai Elantra Touring. And I think you will like the Touring's steering a lot better than any new Jetta. New York City's most romanticized, most photographed, and arguably best guitar shop, Ludlow Guitars, has moved from 164 Ludlow to 172 Ludlow. New location. Same owner and crew. More great service, band visits, and TV commercial shoots will surely follow. Best of luck to the great people over there. Ludlow Guitars is a Lower East Side fixture and is slowly becoming the stuff of New York City legend. Be sure to check out their new rehearsal room as well! Newcastle United: Do The Funky Chicken! My plan for this morning was ambitious. I wanted to watch the eagerly-awaited Tyne-Wear derby with my mates, but I had to pick up my girl from LaGuardia just two hours after the final whistle. But I thought I could do it. I like to have my cake and eat it too, as usual. So I was going to: Wake up at 07:00. Give my pet turtles a bath and place them in a freshly cleaned tank which dried overnight. Drive my station wagon down to the East Village. Find a street parking spot. And then have a pint of ale and an Irish breakfast at Lunasa Bar, while surrounded by about 20 Geordie supporters, some in costume. But then I started thinking...what if? What if I couldn't find street parking? I have just $40 in my pocket this week. Would I still be willing to pay to park at a garage? Or what if this was the one day in a thousand that I park on the street (something I do less than six times a year) and someone damages the car? Or what if a pint of ale, plus saussage and eggs, plus coffee results in stinky farts for the rest of the afternoon? That wouldn't be good for the LaGuardia pickup task at all. Clearly there were too many bad possibilities. So I opted to have a classic Dunkin' Donuts breakfast at home. I paused my DVR, took care of my turtles, brewed my coffee, went out for my breakfast sandwich, and came back ready to watch this match. I admit, I was hesitant to watch this match. When the season started, I marked it as a probable draw. But Newcastle's recent performances suggested that there would be a result. Would it be a dismal display, further complicating Newcastle's objective to stay in the Premiership? Or would be a well deserved victory and bundle of three precious points? Would it be an epic victory that will be talked about and remembered fondly for years? Clearly, I didn't foresse that third possibility. There is no such thing as a 'perfect' game in football. Baseball has it, but there is no statistic that measures it in the Beautiful Game. In football, a perfect game could be a big win over an arch rival, at home, that energizes the team and fan base, and is a game in which there are no injuries or ugly incidents? Better still, a lot of fans will consider it 'perfect' if a player gets a hat trick, with another player right behind him with two goals. That is precisely what happened today at St James' Park. And what did Newcastle gain? The team has gained confidence, stability, spirit, momentum (two Premiership wins in a row), and a clearer picture of what the roles should be for each player. And they still have options for who they can start in future games this season. They have Nile Ranger as a backup striker. They have Steven Taylor set to make his return in defense. They have Ryan Taylor ready as a utility man for both the defense and midfield. And they have their newest acquisition, Dan Gosling, probably making his first start in the midfield in either December or January. That's depth for a team that has no money in their transfer budget for the next six months. Teams can learn from defeats. But they can also learn from big victories. The overwhelming home wins against Aston Villa and Sunderland both prove that Newcastle can return to the upper half of the table. They can eventually anchor themselves in the top ten of the Premiership if the players put in a complete effort until they leave the pitch, and if the team has confidence to break out of sluggish attacking strategies (like those infuriating little triangular passes) and always remember to pass the ball forward as quickly as possible. Moving the ball quickly is what led to valuable set plays and goals in both home victories. And Chris Houghton is a keeper. For this prestigious club, he is he right manager at the right time. And he is dazzling in that suit. Give that man a full page photo in GQ UK. NUFC had to forget their very messy, unlucky elimination from the 2011 League Cup at the hands of Arsenal. The score does not do them justice. They played well during the first half. They should have scored first. The game might have gone a whole different direction had that happened. But as soon as the messy match was over, it was time to regroup and prepare for the Tyne-Wear Derby on Sunday afternoon. So Newcastle have their starters named for Sunday's big home match against arch rivals Sunderland. Once again, they have the opportunity to play well and win at home, something they have not done since August. Newcastle are favored to win. They just need to follow through and play a complete quality game. The supporters are fired up for this match. Will Newcastle reflect their enery and intensity?